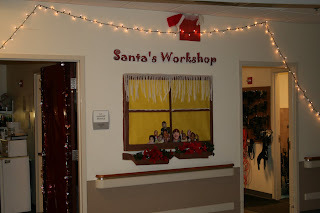 The hall outside the Occupational Therapy Support Services Department at St. Mary’s Home is decorated like Santa’s Workshop. 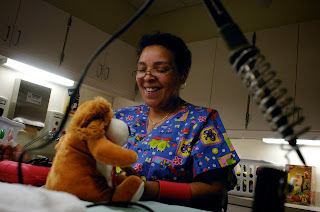 Inside the department, technician Mamie McCloud is busy as one of Santa’s elves, especially at this time of year. 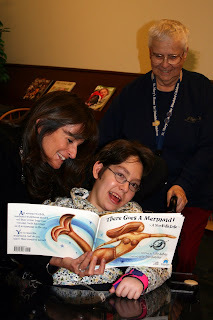 She adapts toys so children with severe disabilities can use them. With an array of tools, she deftly replaces small switches with large buttons that are easier for the children to push to make toys dance or play music. Mamie is profiled today in a nice feature in The Virginian-Pilot newspaper of Norfolk; you can read the story here.